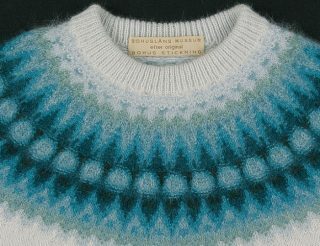 Bohus Knitting was a project that started in the 1930s to create job opportunities for the women in the stone quarrying districts of Bohuslän. The depression during the thirties hit the Bohuslän quarries particularly hard and resulted in high unemployment and hardship. A group of women from the north of Bohuslän sent a deputation to the governor´s wife Emma Jacobsson in Gothenburg, asking her to set up a homebased industry. In 1939 Bohus Knitting (sw Bohus Stickning) was started. The initiative and driving force behind it came from Emma Jacobsson, who found joy and stimulation in encouraging the project of improving and developing home crafts. Out in the countryside Bohus Knitting had important social implications through the knitting-courses that were organized. From its origins as a relief measure Bohus Knitting expanded into the production of exclusive handicraft. Patterns were developed – at first by Emma Jacobsson herself – and later by professional designers. The earliest products were plain gloves and socks in strong wool yarn. But soon fine wools and angora-blends of the highest quality were used. 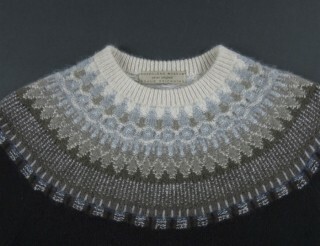 In the fifties Bohus Knitting was at the height of its production. Whenever Swedish handicrafts were to be shown internationally Bohus Knitting was included and export to the US and other countries was extensive. 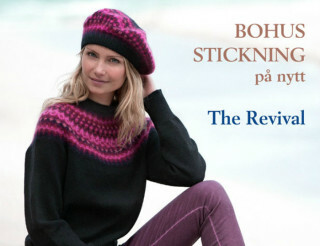 In Sweden too, Bohus Knitting was a well respected name. 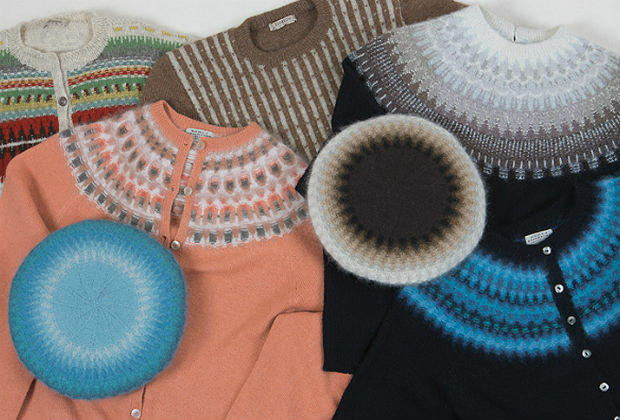 A Bohus jumper or twinset was a must for the well-dressed woman´s wardrobe. The number of knitters employed diminished in the sixties. The economic situation in Bohuslän had improved. The knitting patterns had become so intricate and the wool so delicate that many of the knitters found the work too difficult. Production ceased in 1969. New materials such as mohair and man-made yarns appeared and new fashions revolutionized the market.